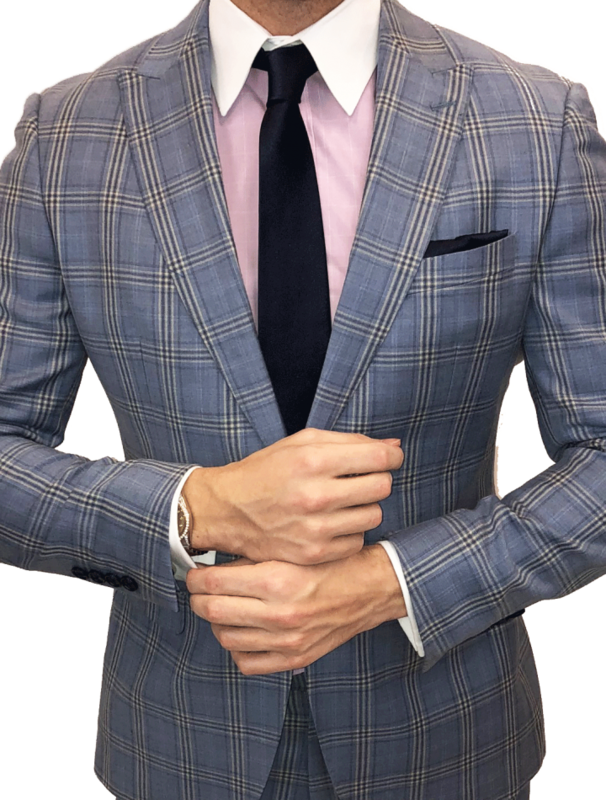 This versatile window pane suit offers the best of both worlds—the straightforward appearance of a solid color, the depth and texture of a pattern—with infinite styling options. 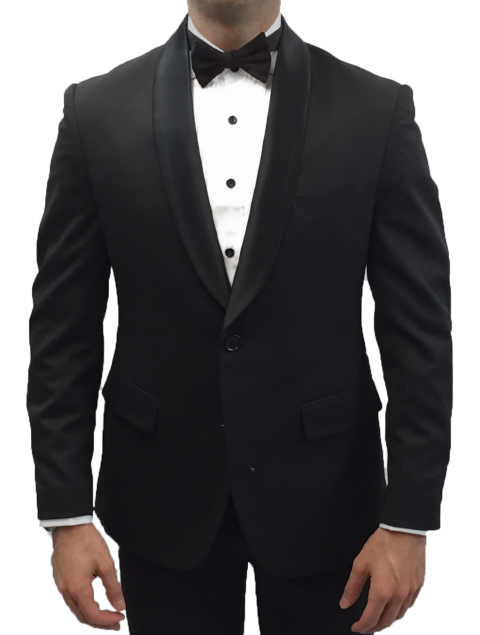 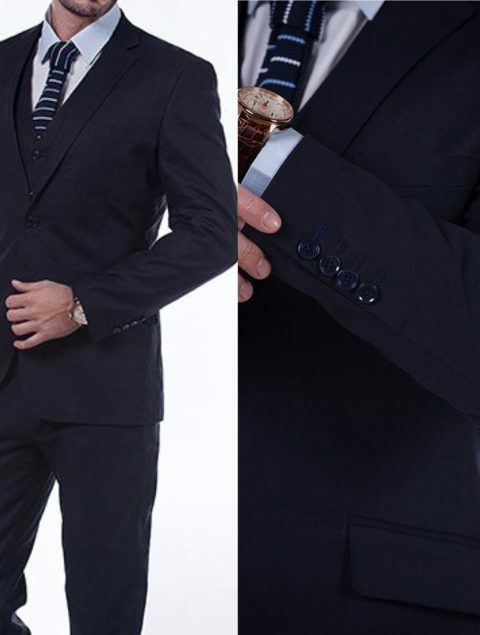 In addition to being custom made to your unique measurements and specifications, Mr Custom Made suits are built with top quality components and thoughtful construction. 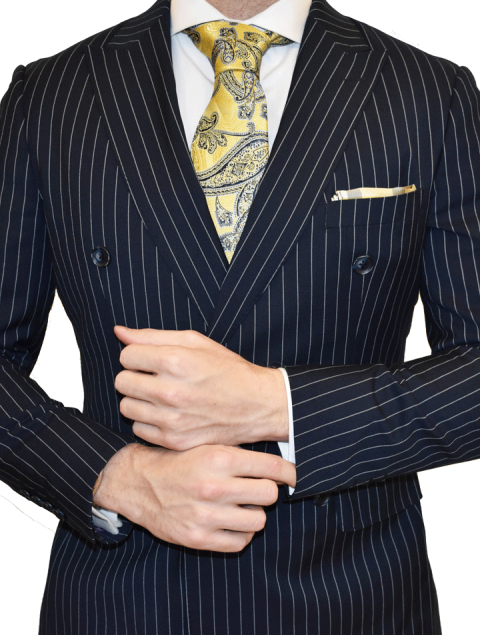 All our suit jackets are half or full canvassed. 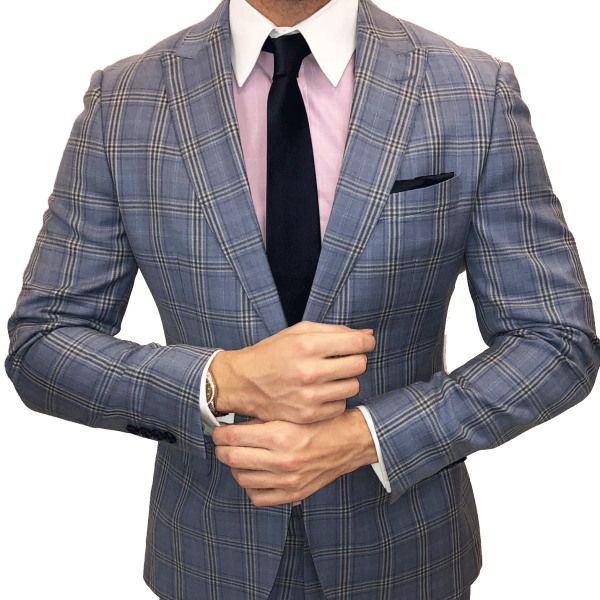 Once you place your order you will be contacted by a suit specialist to create your measurement profile and full customization of your suit.